Meals are served alfresco at Chill Awhile, our beach restaurant. 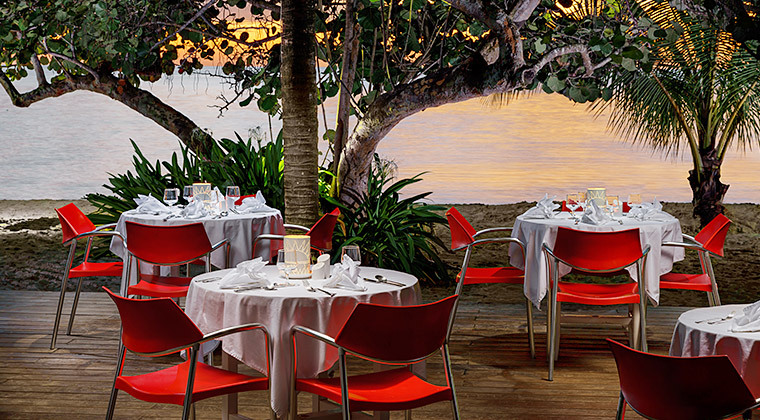 Delight in international cuisine with tantalizing Caribbean flavors. Jamaica's renowned herbs and spices—fiery Scotch bonnet pepper, pimento, nutmeg, ginger, tamarind and sweet coconut—are added to dishes made with fresh seasonal produce and local seafood. For guests in the one-bedroom suites, a private chef can be arranged.